Lock in a great price for Lake Naverone Holiday Cottages – rated 9.4 by recent guests! Our stove was pathetic but the Manager on duty managed to resolve the issue the day after. It just spoilt the perfect dinner that my husband had planned for the night before. This place is a must visit. We stayed by the smaller lake and the view is amazing. The staff had wood prepared for the fire place and kept the place pretty clean. I’m the evening we went outside to gaze at the stars, best view I’ve seen in years. I loved the whole cozy atmosphere and the scenery to die for. The facility were excellent. The staff were friendly and attentive. Great activities.crime free zone that really gave us peace of mind.. definitely recommend lake naverone to family and friends. The scenery was absolutely breathtaking. And the peacefulness was wonderful. Absolutely beautiful!!!! Can not wait to visit again!!! 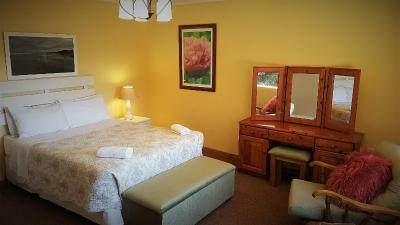 Wonderful staff, picturesque setting and comfortable accommodation! ottages are rustic but clean with all the necessities! Lots to do such as horse riding, fly fishing, canoeing, tennis, and hiking. Stunning and tranquil place managed by two wonderful people. The resident pup is a delight! Would love to come back! We had a couple chalet that was a real few steps away from the large lake. Super cozy in relative cold/rainy weather. Wood is provided, though take an extra bag for a full evening. The rowing boat is nice. It's a nice 20min drive out of Underberg ( we drove in 10hrs from this place to Maseru, Lesotho via Sani pass with a 4x2 Toyota Fortuner ). Loved the location. - stunning views everywhere we looked! There is also a convenient store a few hundred meters away for any items you may have forgotten. The chalets were well serviced and kitted out with all the essentials. The staff were most helpful with any issues we had (as we had never used an Aga before). But there is also a gas stove and oven. Not to mention an outside braai. Lots of activities for the kids - a nice gentle hike around the lake, row boating, tennis, a playground and pony rides. Lake Naverone Holiday Cottages This rating is a reflection of how the property compares to the industry standard when it comes to price, facilities and services available. It's based on a self-evaluation by the property. Use this rating to help choose your stay! 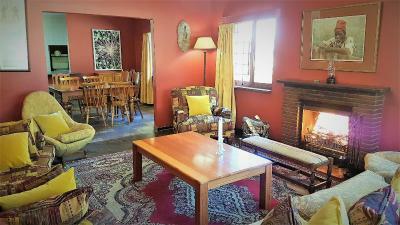 Located on the foothills of the Southern Drakensberg, Lake Naverone Holiday Cottages is set on large estate with 2 lakes and 4.3 mi of river frontage. 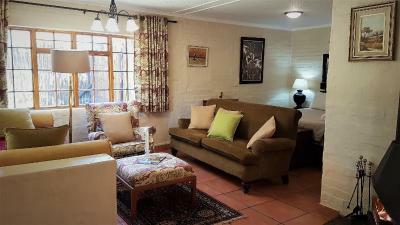 It offers picturesque stone cottages with magnificent views. 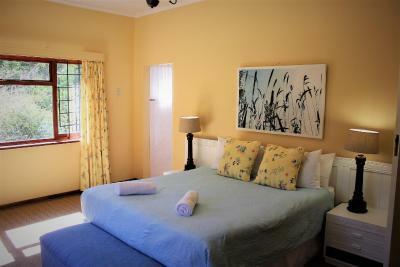 The cottages are fitted with a stove, microwave, fridge, a well equipped kitchen and patios with lovely views. Some of them are located at the lakeside. Each cottage comes with a row boat to venture out on the water. Activities offered include tennis, horse riding, trout fishing, hiking, horseback riding and birdwatching. 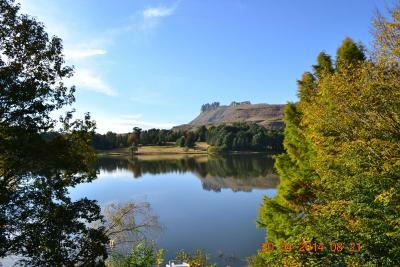 Lake Naverone Holiday Cottages is located 19 mi from Underberg. 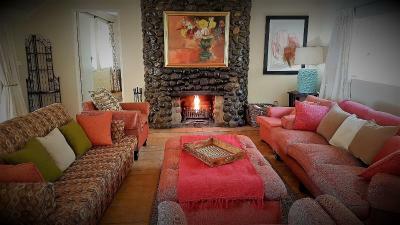 This property also has one of the top-rated locations in Drakensberg Garden! Guests are happier about it compared to other properties in the area. 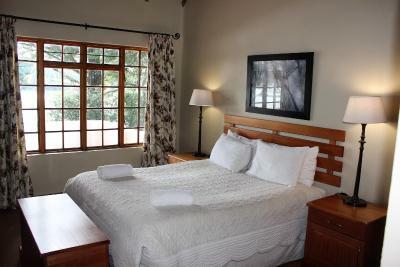 This property is also rated for the best value in Drakensberg Garden! Guests are getting more for their money when compared to other properties in this city. 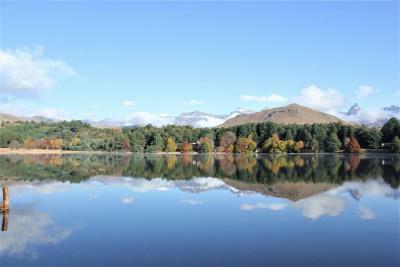 When would you like to stay at Lake Naverone Holiday Cottages? This stone cottage is set in a private garden overlooking the valley. This stone cottage features mountain and lake views and is located on the main lake. It comes with a large patio with stairs leading to your own jetty. This spacious stone house is located on the main lake. 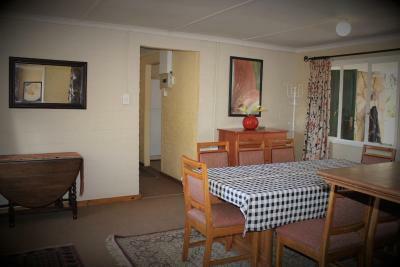 It comes with a wooden deck, lake and mountains view, a living area and a kitchen. This stone house is located in a private area close to the lower lake. It offers a fireplace and a kitchen. This stone house located in a private garden with lots of large trees. The private patio provides a good spot for bird viewing. This stone house is located close to the lower lake and offers mountain views. This large holiday home is located on the lower lake and features mountain views. It has 5 bedrooms and 3 bathrooms and a spacious outdoor garden and patio. This north facing holiday home features a private garden with large trees and offering views of the mountain. The house is within walking distance of the main lake. 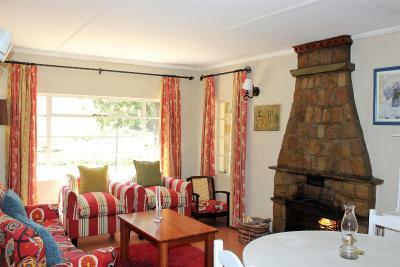 This stone cottage comes with open-plan kitchen, lounge and bedroom area. 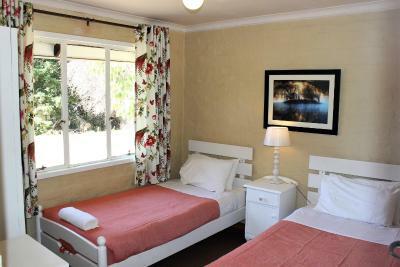 It has a separate bathroom with shower, corner bath and toilet, and a large open garden area with views of the lake. This spacious stone family home is located in a large open private garden. It offers 3 bedrooms and 2 bathrooms and a large semi-enclosed patio with views. It also features 2 small bungalows with a bathroom each. 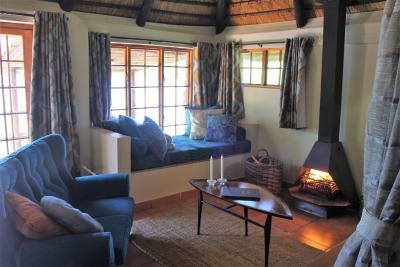 This thatched stone cottage is located on the main lake with mountain and lake views. It offers 2 bedrooms, 2 bathrooms and a deck. This thatched stone cottage located on the main lake with mountain and lake views. 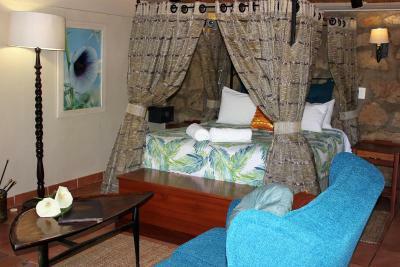 It offers 2 bedrooms, 2 bathrooms, a seating area with fireplace, and a kitchen. 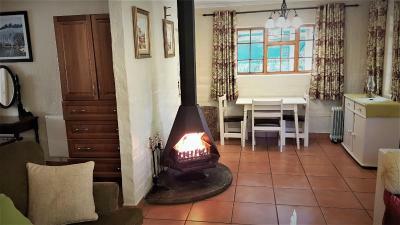 This stone cottage is located on the main lake and comes with a furnished patio, fireplace and a kitchen. This home is located on the main lake with mountain and lake views. 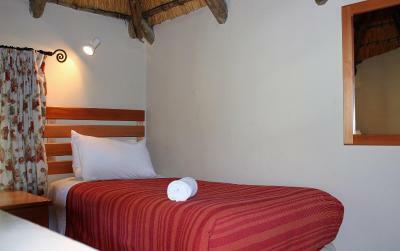 It offers 2 bedrooms with 2 bathrooms downstairs and another bedroom upstairs. There is a large patio with outdoor furniture. This spacious stone house on the main lake comes with a patio overlooking the lake and the mountains. It offers 3 bedrooms and 2 bathrooms. This unit is located on the main lake with mountain and lake views. 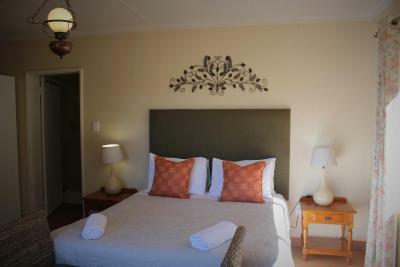 It offers 2bathrooms, one of which is en suite. 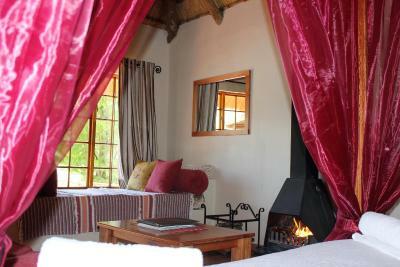 This stone thatched cottage is located along the main lake and offers mountain views. It features a patio with a table, chairs and loungers. 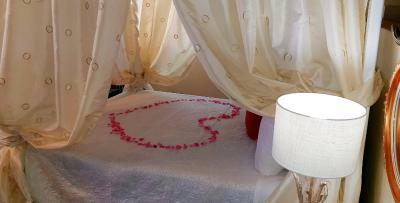 This honeymoon chalet has lake and mountain views and a private balcony with access from the chalet only. This Honeymoon thatched cottage is located in a private area close to the water in the lower lake and offers panoramic mountain views from the patio. 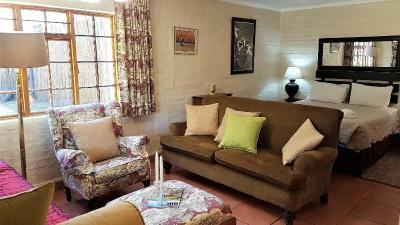 This fenced cottage is dog friendly and offers views and a fully equipped kitchen. This holiday home has a seating area, toaster and private entrance. House Rules Lake Naverone Holiday Cottages takes special requests – add in the next step! Lake Naverone Holiday Cottages accepts these cards and reserves the right to temporarily hold an amount prior to arrival. 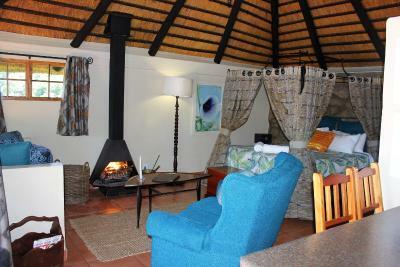 Please note that pets can only be accommodated in Holiday Home - Hammerkop.